“Success is a choice. Make it yours! It has been said that the only real success is being able to live your life in your own way. If the idea of loving what you do appeals to you, then give your dreams the attention they deserve. Penny Pearlman, IMP3 co-founder and partner, brings the wisdom gained during more than 20 years of experience in the business world. She is a catalyst for change; her ability to develop consensus in groups and motivation in individuals is well documented. As an accomplished strategic change facilitator, she has helped clients in both the for-profit and non-profit sectors and individuals find solutions for success in a changing, challenging and uncertain environment. Her proven ability to support the development of individuals from the boiler room to the boardroom has resulted in increased job satisfaction and attainment of corporate and individual goals. As a consultant she has had significant success in helping entrepreneurs and non-profits raise money, create visions for the future that are implemented through sustainable strategic plans and design organizational and governance structures that improve efficiency and effectiveness. She is an accomplished and acclaimed motivational speaker and seminar leader focusing on helping people embrace change as a vehicle to achieving their dreams. As a retreat facilitator for boards and staff, she stimulates participants to en vision a successful future for their organization and to design plans to achieve it. She incites an enthusiasm for change! She is currently writing When Smart Isn’t Enough: Lessons From the Beauty Queens. She is also an accomplished artist and has shown her work in various venues. Prior to founding IMP 3 she was Vice President, Planning at Bridgeport Hospital, one of the largest hospitals in Connecticut. As a manager in an international accounting and consulting firm, she advised clients on issues regarding strategic planning, market development and change management. 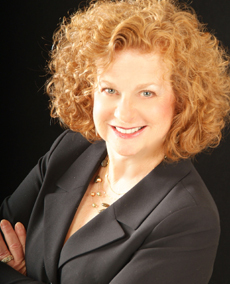 She has taught graduate level courses in the MBA programs at Sacred Heart University and the University of New Haven and is a member of the National Speakers Association. She has been executive director of two non-profit organizations, Family House and The Center For Hope. Assisting organizations with major transformational change, she has been interim director of the Facilities Management Division at Memorial Sloan Kettering Cancer Center and interim CEO of the Visiting Nurse Association of New Britain, giving her a broad and balanced perspective on management and change efforts. Her left and right brain work equally well as she has an undergraduate degree in fine art from Queens College, a Master’s Certificate from Hahnemann Medical College and an MBA from The Wharton School of the University of Pennsylvania.